The first floor of the Marvin Center is undergoing renovations, just as University officials revamp the way dining works at GW. Hatchet file photo by Dan Rich | Contributing Photo Editor. Updated: July 6, 2016 at 2:52 p.m.
Students will face a revamped dining hall this fall, with fewer options on where they can use their allocated dollars. 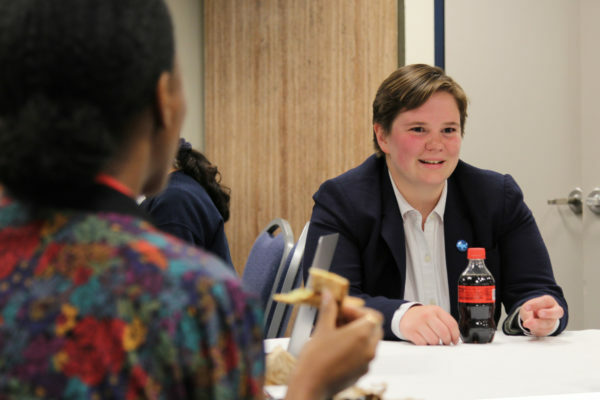 The changes, revealed in documents that officials gave to incoming freshmen at Colonial Inauguration, will give freshmen more overall money for dining after officials dropped the mandate to spend a certain amount at on-campus dining venues. The new plan will also no longer allow dining money to be spent on laundry, printing, books or other non-dining venues that previously accepted Colonial Cash. In March, officials announced a major overhaul to the University’s dining system as the decade-long contract with Sodexo drew to a close and Restaurant Associates is set to replace it beginning this month. The plan will also effectively mark the end of J Street, the much-griped about dining hall on the Foggy Bottom Campus. Here’s a look at what the changes will look like. What’s happening to J Street? 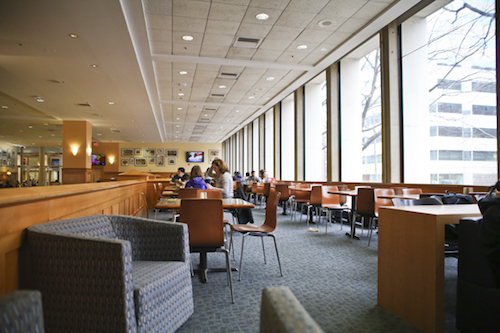 J Street was the main dining venue on the Foggy Bottom Campus, located on the first floor of the Marvin Center. Up until this academic year, it featured several separate dining venues, all owned and operated by Sodexo, which sold sandwiches, salads, pizza and pasta, coffee, fruits and vegetables, a salad bar and a hot bar. Freshmen were allocated $2,300 per year in Colonial Cash to spend at any partner restaurants near campus that accept GWorld and $1,400 that could only be spent at on-campus venues, like J Street and Pelham Commons on the Mount Vernon Campus. This summer, J Street is closing for renovations to make it what officials have called a “more modest” dining venue, and freshmen will no longer be required to spend any money there. Officials have so far not said which, if any, dining venues will open in J Street’s place once renovations are complete. Officials have already planned a renovation of the Marvin Center first floor. So there won’t even be a dining hall? Not on the Foggy Bottom Campus. Pelham Commons will still operate as a more traditional dining hall on the Mount Vernon Campus and its Sunday brunch will continue. 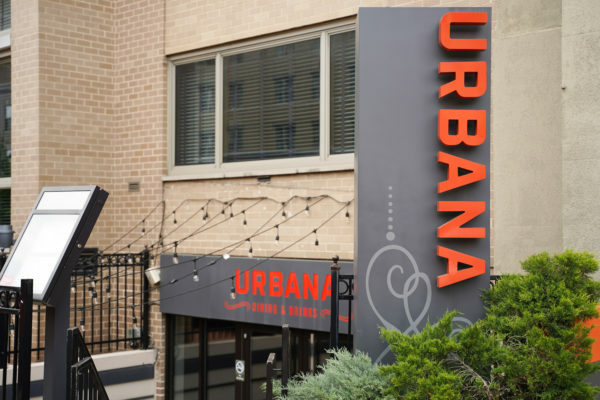 In Foggy Bottom, there will be what officials have billed as an “open dining plan,” where students will be able to spend “dining cash” at more than 90 partner restaurants around campus. The venues that will accept dining cash range from “delivery to grab-and-go to made-to-order dining and sit-down restaurants,” according to documents detailing the new plan that were given to incoming freshman at Colonial Inauguration. The partner restaurants also include campus vending machines, grocery stores, convenience stores like CVS and 7-Eleven and the vendors opening in the basement of District House this fall, according to University spokesman Kurtis Hiatt. The plan is unique among colleges and universities across the country, which typically rely on a centralized dining hall. How much ‘dining cash’ will be available next year? Freshman will have a total of $3,900 in dining cash to spend this year, $1,950 per semester. That’s a $200 increase from last year, when first year students were given a total of $3,700 to spend in Colonial Cash and dining dollars. The sophomore, junior and senior meal plans will remain the same with $2,500, $2,000 and $1,000 to spend respectively. 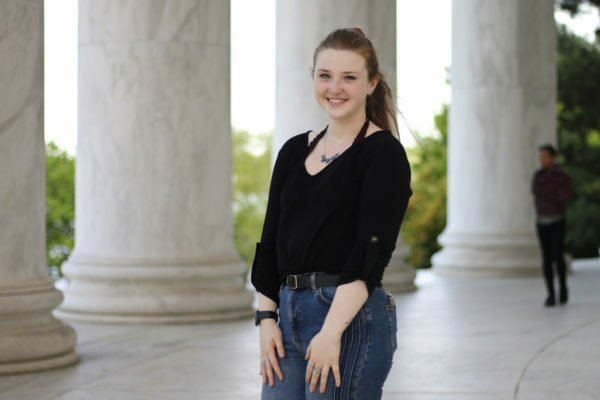 “The university considered many factors when determining the amount of Dining Cash for each class of undergraduate students, including costs for various items and meals at participating dining and grocery partners as well as feedback from students regarding how much they spend on food each day,” Hiatt said. Students receive less in dining money over the years, Hiatt said, because they are “more likely to be spending more time off campus and may want more flexibility in terms of meeting their dining needs and preferences,” and upperclassmen residence halls typically include in-room kitchens. What else will be different next year? Starting this fall, GWorld funds that are part of the meal plan can only be used at dining venues. In the past, GWorld also included funding for on-campus printing, laundry, the University bookstore and other non-dining business near campus including hairdressers, nail salons and the UPS Store. Beginning this fall, if students want to use GWorld for those services, they’ll have to put extra money on their card, Hiatt said. “Students may voluntarily deposit Colonial Cash to pay for additional dining and non-dining expenses on their GWorld cards,” he said. Laundry machines in residence halls only work by paying with GWorld or using quarters and GWorld or credit card are acceptable forms of payments for printing kiosks around campus. The exclusion of the bookstore from GWorld vendors means students will have to put up extra money if they want to use GWorld to buy textbooks this academic year. Additionally, a new system called GET will replace JSA Technologies as the GWorld account management service. Students will now use GET for information about their GWorld account and to deposit more funds, Hiatt said. He added that the service also offers a mobile app that provides access to a GWorld account plus information about and directions to partner restaurants. The system will also offer mobile ordering from some partner restaurants. Due to a reporting error, The Hatchet incorrectly stated that officials will create a “living room” on the first floor of the Marvin Center. This is a statement that has been made only by student leaders. We regret this error.